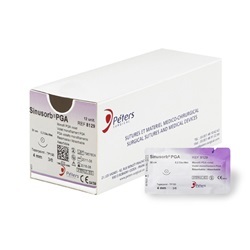 Peters and Mani brand 5-0, violet braided, polyglycolic acid sutures with single and double arms. Dia spatula, spatula, and reverse cut needles ranging in length, curve, and diameter. 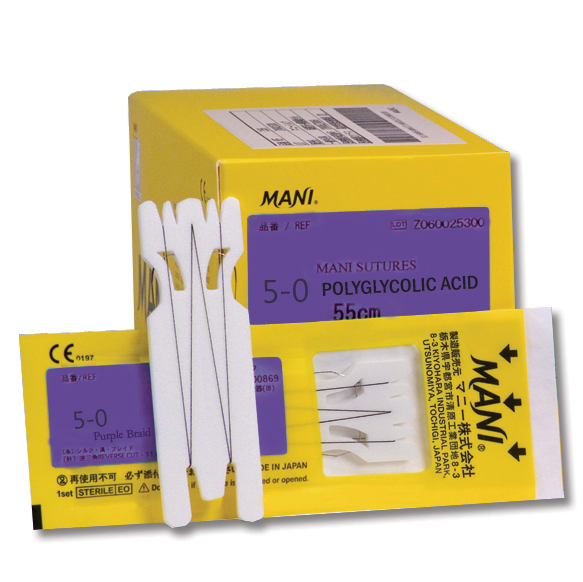 Mani and Peters brand sutures are high-quality products with strong and break-resistant needles. Sold 12 per box. 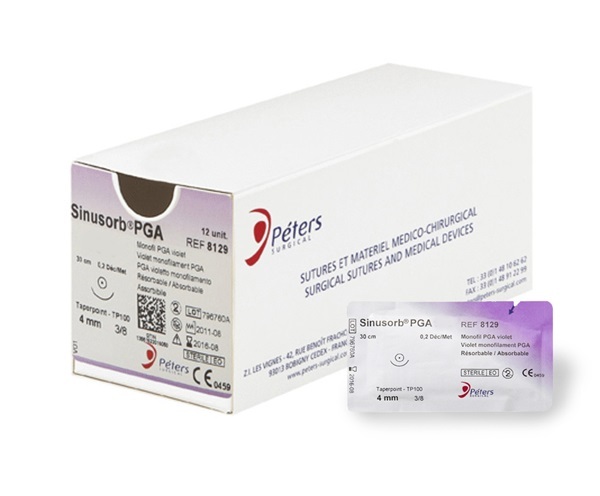 Single-armed suture, measures 45cm in length. Reverse cut needle, measures 16.0mm in length, 1/2 curve, and 1.0mm in diameter. Manufactured by Peters. Double-armed suture, measures 45cm in length. Dia spatula needle, measures 8.5mm in length, 1/4 curve, and 0.33mm in diameter. Manufactured by Mani. Double-armed suture, measures 45cm in length. Spatula needle, measures 8.0mm in length, 1/4 curve, and 1.0mm in diameter. Manufactured by Peters.